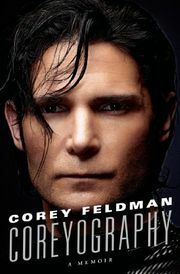 Miami Nov/7/2013-Corey Feldman, Director, Producer who starred in a number of ’80s films including Stand by Me, The Goonies and License to Drive, has turned a new leaf (so to speak) and is now also an author. And, though the book does feature much of Feldman’s relationship with long time friend and tragic figure Corey Haim (with whom he starred in the relatively short lived but, intensely emotional reality show “The two Coreys“), it is much more than a recount of their friendship. Feldman’s exploration of self as an author is most certainly pushed forward by Haim’s death and, though a group of Haim fans tried to demand that St. Martin’s Press remove the book from stores and online sales, Feldman’s conviction that he had to tell this story not only for him but, for the sake of his beloved friend, finally steeled his resolve to move on with the project. Tonight, as this piece is being composed, the famed personality of the small and the large screen is arriving at top bookseller’s Barnes and Nobles beautiful facility at The Grove at Farmers Market at 189 The Grove Drive, Suite K 30 in Los Angeles, CA. Feldman is there with Miami resident and star of hispanic film and video, EXCELINA. Tonight however, is Feldman’s night to enjoy the fruit of a tough journey into his dizzying past from the well earned center of his present. A dedicated family man, Feldman has now become the definition of a loving father and husband. A man who made it through the best and the worst Hollywood had to offer, only to shake it all off for the sake of his love of family and career.